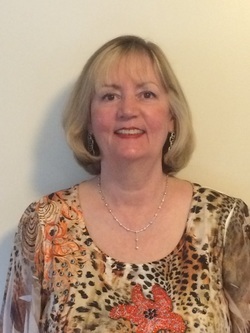 ﻿Patricia Padoll is at home in both the Blue Ridge Mountains of North Georgia and the Treasure Coast of Florida. The natural settings of both mountains and seas provide her with a variety of inspiration. Her work is rich in color and light, focusing on the vistas of landscapes and seascapes. She loves painting extraordinary sunrises and sunsets, using bright and subtle colors, to represent the changing light throughout the day. ​Her recent exhibit in January 2016, at Artist Guild Gallery, Vero Beach, Florida, was well received. Her show, titled "Mountains to the Sea & Beyond" showcased her landscapes, seascapes, and nature paintings. Patricia also hosted her own Art Show in March 2013 in Fort Pierce, Florida. Her art work has been represented at Main Street Vero Beach Studios and Gallery, Vero Beach Florida, The Arts for Act Gallery, Fort Myers, Florida, and The Art Center, Blue Ridge, Georgia. ​Two of her recent paintings, "Royal Blush" and "Island Dreams" were awarded "Special Recognition" in Light, Space and Time on-line Seascapes Competition for 2014 and 2015. She has participated in several juried art shows in Florida, Georgia, and Virginia. Original oil paintings, and prints are available for sale. Email address: padollart@gmail.com.